Program Director, Youth Development Associate and AmeriCorps Members. 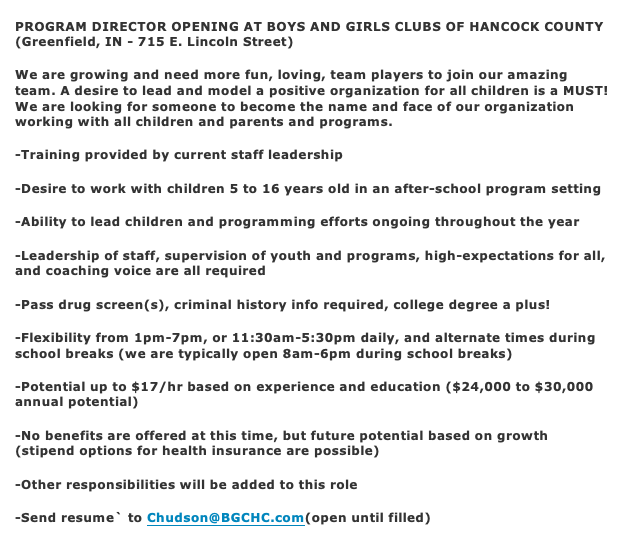 For more info on the Program Director role, click here. 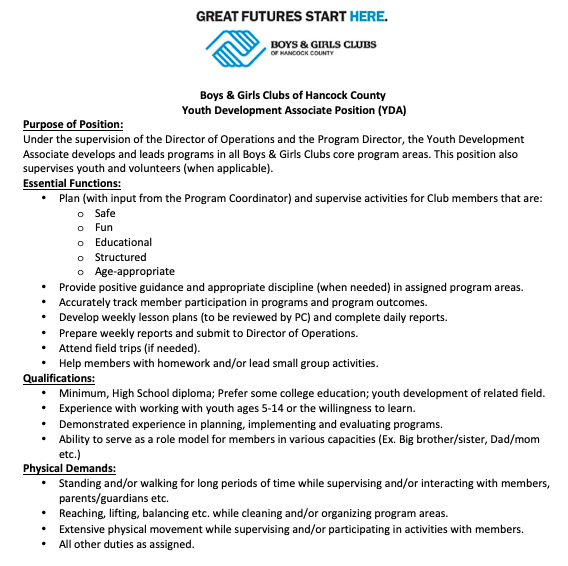 For more info on the YDA role, click here. 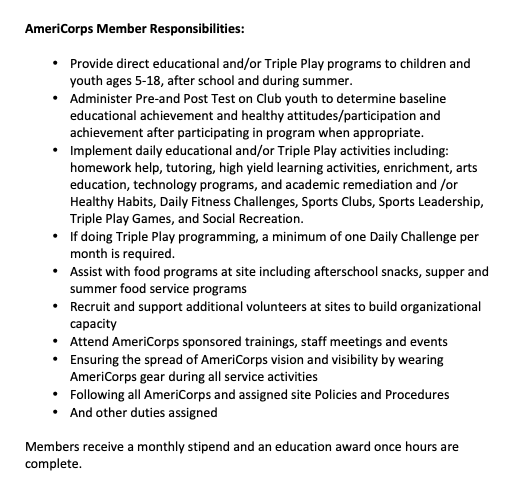 For more info on the AmeriCorps role, click here. For our general job application for other roles, click here.